Or as low as $239.83 per month over 6 months. Apply Now. 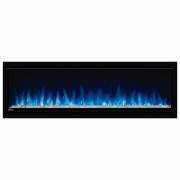 The Napoleon 50-In Alluravision Deep Wall Mount Electric Fireplace is one of the best choices on the market when it comes to flame effects, features and heating capabilities. This impressive unit can be installed one of two ways. Choose to fully recess the fireplace for a built-in installation, or simply surface mount it using the included hanging bracket. Additional options include standard 120V plug-in or 120/240V direct-wire power supply’s. If simply plugging in or direct wiring to 120V, you’ll experience 5,000 BTUs of supplemental heat to warm areas up to 400 Sq. Ft. Alternatively, if you hard-wire to 240V, the heat output will increase to 9,000 BTUs for heating areas up to 800 Sq. Ft. 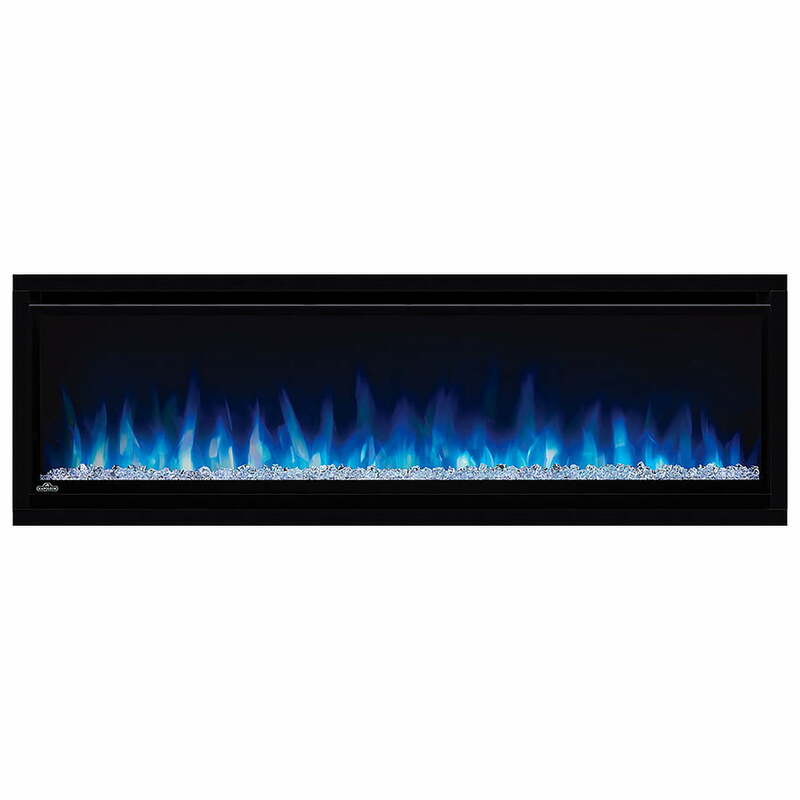 This bold, linear fireplace utilizes energy efficient LED lighting to create life-like flame effects. 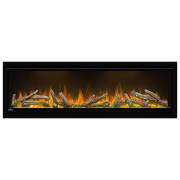 These bright and vibrant projections move with a motion that very closely resemble a real fire. You’ll be able to adjust not just the brightness and speed of the flames, but also the color with your choice of yellow, orange, blue and multicolor. A separately lit ember bed adds even more dynamic to the unit with 6 more color options (white, green, blue, red, yellow and purple). 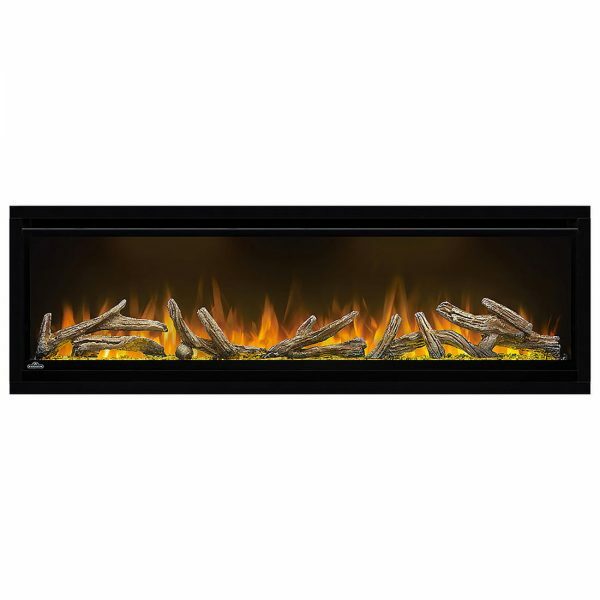 This unit comes with both a crystal ember bed as well as a driftwood and glass ember bed. This allows you to pick a look that best fits your preference and tastes. A multi-function remote control is included an allows for easy operation of the various functions of the fireplace from virtually anywhere in your room. This Napoleon product includes a 1 Year limited warranty.